Passover’s coming! What does that mean to you? The holiday of Passover is rich in symbolism and full of various customs. Every family has their own set of traditions that may be similar in style, but still somewhat unique. Around the world, there is no shortage on varying Passover customs. 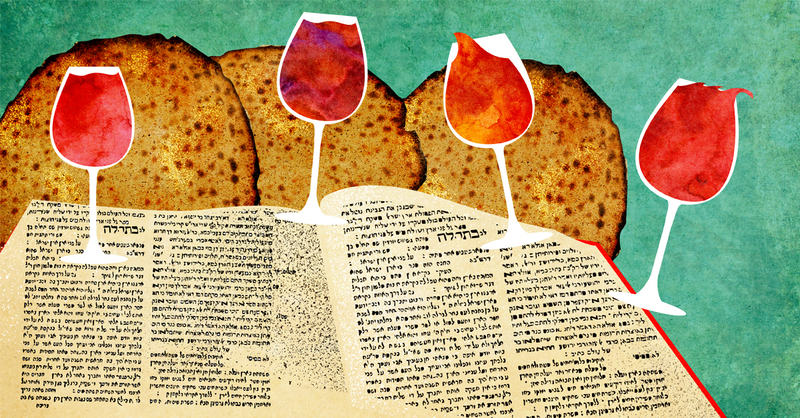 Take a look and add something new to your seder this year! In Gibraltar, making a symbolic Haroset is not enough—they actually put real dust from real bricks into the mix! In Poland, families will spill water on the floor (in their dining room!) and re-enact crossing the red sea! Jews from Afghanistan will re-enact the whipping by slave masters by whipping each other with scallions throughout the seder. Ethiopian Jews take starting fresh on Passover very seriously. Rather than scrub their dishes before the holiday, they will throw them on the ground and break them! This symbolizes a true break with the past and that they can only move forward. Moroccan, Turkish and Tunisian Jews will pick up the seder plate and tap it on the head of each guest! This is thought to bless those whose heads have been tapped. The seder isn't the only thing that varies by region! Charoset, the sweet mixture meant to symbolize the mortar of the bricks that the Israelites were forced to make as slaves, also has many forms.